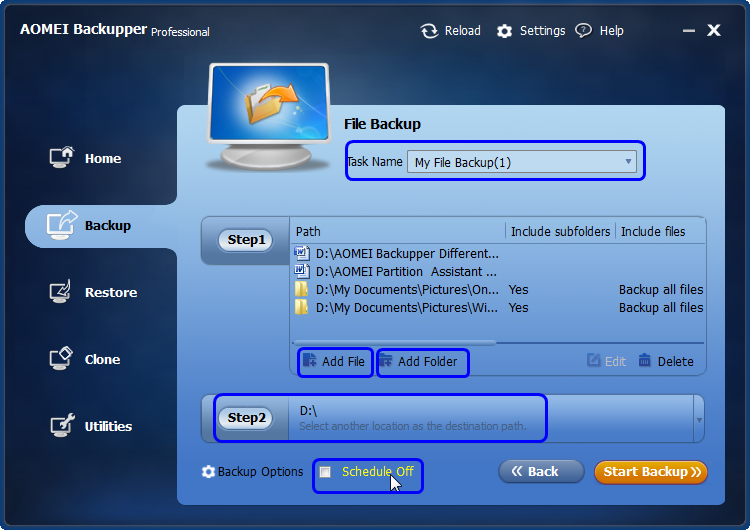 Use free files backup software - AOMEI Backupper Standard to protect your important files and folders in case of data loss due to all kinds of accidents. Always be prepared for unexpected future. It is also true when comes to files and folders security in computers. With the fast development of technology and wide spread of computer use, it is increasingly common to see PC failures. Whether it is virus or hijack attack, system crash or disk damaged, they all result in data loss, big or small. Many of these files are of great importance for us, including email, music, photos, videos, documents, personal settings, bookmarks, and applications. Do not put all eggs in one basket. Similarly, in case of data loss due to accidents, we should make a backup of them and save the image files in another basket. Thus, once bad events happen, we can get what we had by simply restoring them from the backup images we have made before. Much luckier, we can have a professional and complete software to back up the files and folders. Step1. Download and install AOMEI Backupper. Launch it, click Backup on the left panel and choose File Backup. Step2. Name this backup, add file(s) or folder(s) and select destination path (local disks, external hard disk, removable USB drives, network or NAS). You can also make a schedule backup by clicking on Schedule Off (when you finish, the Schedule Off will automatically turn into Schedule On). To begin backup, please click Start Backup. Step3. Wait until it finishes. Then, you do not need to worry about the security of your data. 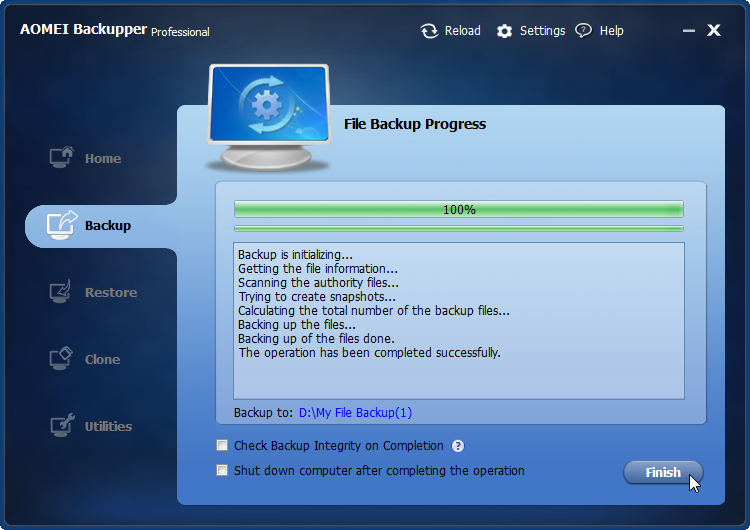 Once you lose the file(s) or folder(s) which you have backed up, you can restore them back at once. Moreover, if you have made a schedule for your backup and the backupper works every certain period of time, you can also backup your information to different stages of different time periods as you like. Still have some questions after reading this article? 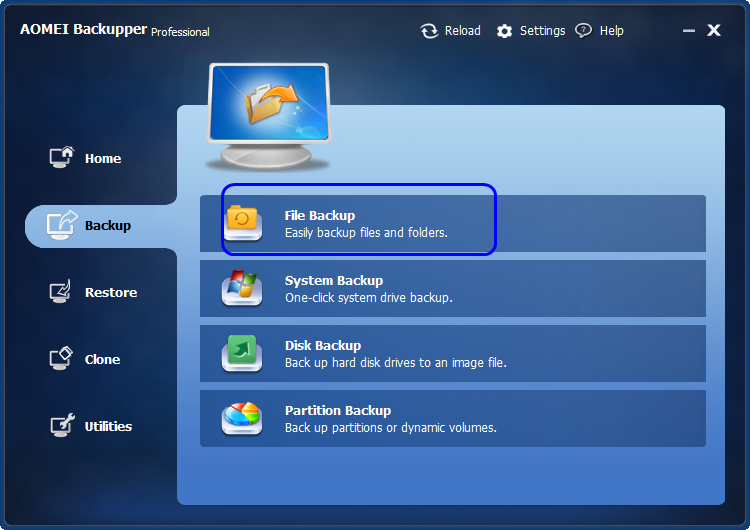 You may click on the link below to learn more of the detailed instructions of files/folders backup.